This is my first Susannah Sandlin book and I can say without a doubt, it will not be my last. The setting, voodoo priestess and an ancient curse combined with mystery and suspense fuelled my desire to read this book. Wild Man’s Curse featured rich characters and a well-developed story line. It was evident the author thoroughly researched police procedures and the voodoo religion. I was curious about the curse which plagued Ceelie’s family. Its origin and the steps she would need to take to put an end to it. Eager to discover if the killer was Gentry’s brother or someone who bore a close resemblance kept me turning the pages. Uncovering the murderer’s motive was another aspect of the story, which kept me glued to the pages. However, there were moments in between where the story dragged, thus causing the page turning momentum to dwindle, which interfered with my enjoyment to some extent. Gentry Broussard: He is a Senior Enforcement Agent responsible for capturing poachers. While on duty and in the process of taking down a poacher, he spots a man who bore an uncanny resemblance to his brother, leaving Eva Savoie’s Cabin. The brother whom he killed three years ago at. Has his worst nightmare come alive or was his mind playing tricks on him? Gentry is protective by nature, which was evident in his behaviour towards Celestine. He is plagued by guilt from his past, most of which surrounds the death of his brother. Celestine Savoie (Ceelie), an aspiring singer and guitarist is down on her luck. Her endless struggles to accomplish her dream in a competitive world was taking its toll. Just when she thought things could get no worse, she received a call about the murder of her great grand-aunt. Forced to return to the place she once called home, to settle her aunt’s estate she finds herself in the middle of a dangerous situation. She had no plans to stay, but fate had a different plan for her. Despite the threat to her life, Ceelie had no intention of running. I loved her bravery and her tenacity. Unfortunately, the villain did not impress me. His actions were haphazard, which made him dangerous. He was unhinged, erratic, and reckless. His motives were driven by pure greed. The romance, which I found unimpressive, took a back seat. The story focused on the murder investigation and the threat on Ceelie’s life. The sparks between the protagonists were evident, but the build up to their relationship lacked intensity, making difficult for me to connect with them as a couple. 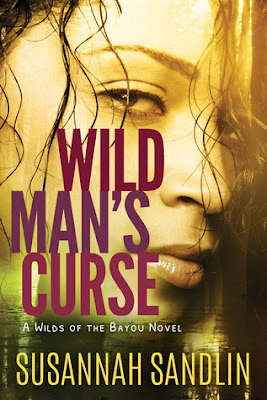 If you love romantic suspense, (heavy on the suspense and light on the romance), Wild Man’s Curse will be a great addition to your library. Suzanne Johnson writing as Susannah Sandlin is the author of romantic suspense and paranormal romance, often set in the Deep South, where there are always things that go bump in the night! A journalist by day, Susannah grew up in Alabama reading the gothic novels of Susan Howatch, and always fancied herself living in Cornwall (although she’s never actually been there). 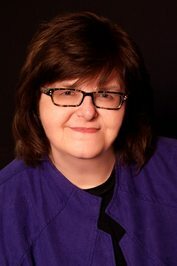 Under the name Suzanne Johnson, she writes the Sentinels of New Orleans urban fantasy series: ROYAL STREET; RIVER ROAD; ELYSIAN FIELDS; PIRATE’S ALLEY (released in 2015); and BELLE CHASSE A novella and story collection from the Sentinels world, PIRATESHIP DOWN, was released in 2015.